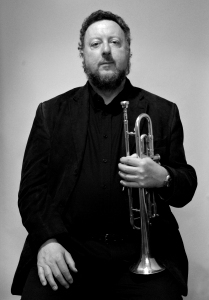 John A Sampson is an Edinburgh-based professional musician, composer and actor. A well known and loved performer on the UK music scene for over forty years and a respected actor for almost as long, he has also appeared extensively on the continent, particularly in Germany where his accomplished brand of musical comedy and cabaret is held in great affection, and his classical and jazz performance skills are highly regarded. He is also well-known for his collaborations with poets - particularly a wonderfully successful 14-year association with poet-laureate Carol Ann Duffy during which their interplay of words and music has received rave reviews all over the UK. John is a member of The Royal Society of Musicians of Great Britain. Duffy’s poetry and Sampson’s music come together brilliantly. "The thing I most enjoyed about the presentation was the spectacular poems and how Carol Ann Duffy read them and how John Sampson's music represented her poems. It made the poems feel alive. When Carol Ann signed our books and had a chat with us it made the whole experience more memorable." "I thought the evening was incredible - throughout the presentation I found myself becoming completely enthralled by the words and music, and truly enchanted by the emotional effect they had." "The overall event was sensational. I like how John Sampson's music complements Carol Ann Duffy's poems. It was a pleasure to watch the presentation." With a diverse plethora of wind instruments, and a collection of mellifluous readings, musical virtuoso John Sampson, and Poet Laureate Carol Ann Duffy, take you on a beautiful journey of counties, bees, and the reincarnation of Wolfgang Amadeus Mozart. The amiable bearded Sampson provides the sound, and the vivacious Duffy the poetry, but what makes this performance so watchable, is how the two qualities compliment each other, then swap hands � the music becoming poetic, the readings forming a mild muttering, swaying the audience back and forth like a metronome while the crescendo builds. "The festival reached its climax on Sunday night with Carol Ann Duffy and John Sampson reading and playing to a packed Great Hall. Sampson began proceedings, playing the first of a number of early music instruments which ranged from tiny sopranino recorders, through crumhorns and baroque fanfare trumpets to a Chinese wind instrument which produced delicate and sinuous lines echoing the intonations of the language. An amiable, bearded Scotsman, he imbued everything with an affable humour, making light of his offhand virtuosity. Elizabethan songs were followed by baroque outbursts, which led on to Scottish folk tunes and comically absurd compressions of Mozart symphonies. For the latter, he donned an appropriate period wig, the more fully to channel the spirit of Wolfgang Amadeus. At one point, he played harmonised lines on two recorders at once, a little like a Renaissance version of Roland Kirk's similar feats on his saxophones. Sampson's delightfully playful selections acted as interludes between Duffy's readings. 'The Queen gave him to me', she remarked after his opening salvo. 'She didn't want him any more'." "... the ebullient John Sampson provided musical interludes...an arsenal of exotic wind instruments, from the honk and squeak of the crumhorn, which looked like the bent end of a walking stick, to the smooth and mellifluous hilusi, a Chinese flute, melodies were masterfully wrought and performed with a charming jauntiness. On two or three occasions the words and music combined, pipe tunes weaving through densely alliterative verses, building a crescendo of word and sound then falling to silence. The effect was mesmerising." "Poems from Duffy's recent compendium The Bees have some thought-provoking things to say about humanity's future, in sober contrast to all the fun repartee. And that's Sampson and Duffy in miniature: he the jocular foil for her archness and intensity; as a pair, unforgettably good value for a wet Tuesday night."